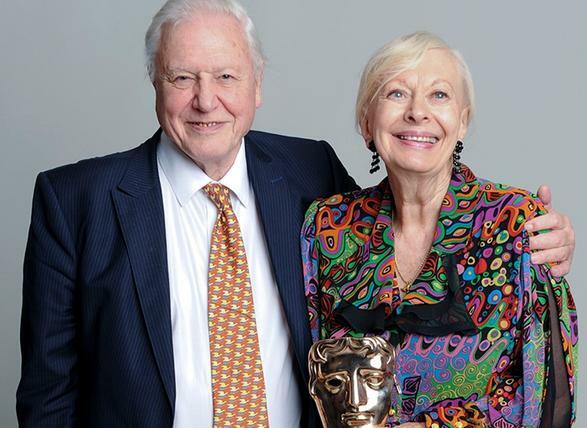 Television producer and writer Biddy Baxter was presented with the BAFTA Special Award by Sir David Attenborough at the Children's Awards in 2013. As editor and producer of Blue Peter between 1962 and 198806, Biddy Baxter helped shape the imagination, creative talents and resourcefulness of generations of children. Blue Peter remains one of the most iconic children’s programmes ever produced in the UK and was awarded two BAFTAs under Baxter's stewardship. This year, BAFTA recognised Baxter in her own right, honouring her outstanding contribution to children’s media and the entertainment industry with the prestigious Special Award. Biddy's impact on children’s media and entertainment is undeniable. She is a veritable national institution. © JOHN CAREY/CAMERA PRESSBiddy first joined the BBC in 1955 as a radio studio manager, later becoming the producer of Listen with Mother and School Radio’s Junior English programmes and then of BBC Television Children’s Programmes. 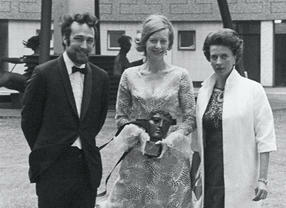 She then worked as Editor of Blue Peter from 1962 to 1988 during which time the programme won 22 awards and Biddy herself received 12 BAFTA nominations, winning two. Together with Edward Barnes and Rosemary Gill, Biddy devised the Blue Peter Badge and instigated the annual Blue Peter Appeals, which have raised millions of pounds for charities at home and abroad. 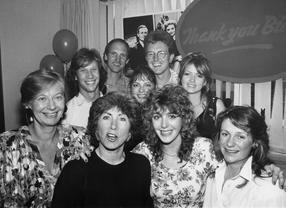 She left Blue Peter on 27 June 1988 and viewers saw her awarded the programme's highest honour: a gold Blue Peter badge. She was also appointed an MBE in 1981. I’ve been incredibly lucky to have had such a long and rewarding broadcasting career. Thank you BAFTA so very much for this unexpected and greatly prized Award. 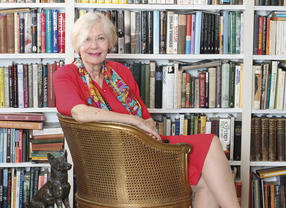 In 2003, in memory of her late husband, Biddy founded the John Hosier Music Trust with Sir Simon Rattle as Patron to provide scholarships to enable outstandingly talented but impoverished music students to undertake their all-important postgraduate studies; so far, 11 scholarships have been awarded and two special awards. Her book, Dear Blue Peter... which was published in 2008 with 50 years of letters and emails from viewers, raised £20,000 for the Trust.